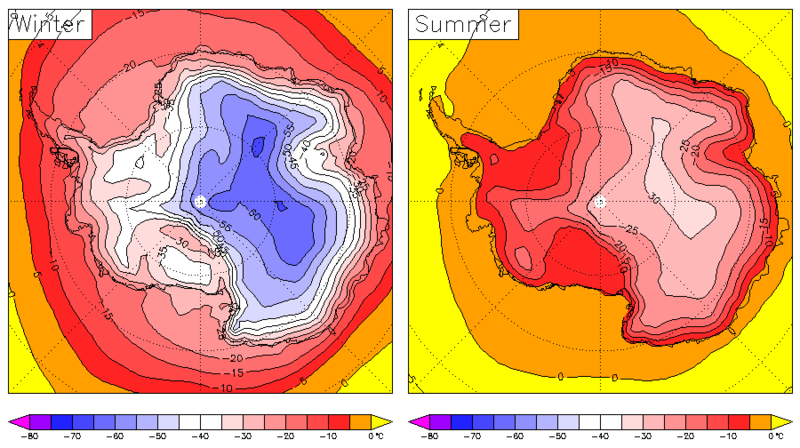 In 2009, geniuses at The University of Texas concluded that places in Antarctica which never get above freezing were losing ice. I pointed out on WUWT the stupidity behind this claim. John Cook (the 97% consensus fraudster) then wrote a three part series for the morons who read his site, explaining how lies are actually facts. 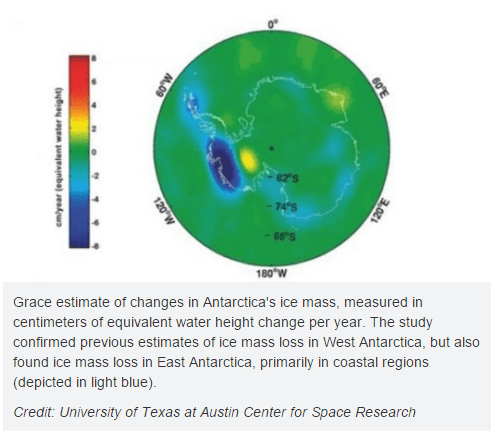 Finally, six years later NASA has admitted that the University of Texas studies were wrong and that Antarctica is gaining ice. And if it’s a settled science why are they getting zillions to study it? Bribes to mediocre academics to lie. These are the otherwise useless members of society. Those who can’t,teach, teach teachers. Gail.. fwiw…. I’m essentially an academic.. please don’t bag us all. I will grant you there are some really decent teachers out there. Unfortunately they are smothered under all the PC crap now found in Academia. From what I can see, at least here in the USA the Progressives have done their very best to drive out the decent teachers. I am sure misinformationist John Cook will be showing up straightaway to apologize. One would think so, but I suspect that Mr. Cook is busy mixing up a new batch of Kool-aid. Can anyone show us a truly critical peer review of a true believer in a peer reviewed climate science journal? I seriously doubt any exist. It is just one big happy family when it comes to the grant groveling process. Peer review is a joke. It is important to remember that the peer of a crook is a crook. We must always keep in mind that their peers are not our peers. Frauds of the weather fraud together.